We have fresh cut Concolor fir available by the bunch. It smells like lemons and is a soft, blue color. Let me begin by singing the praises of concolor fir (Abies concol0r, shown above). 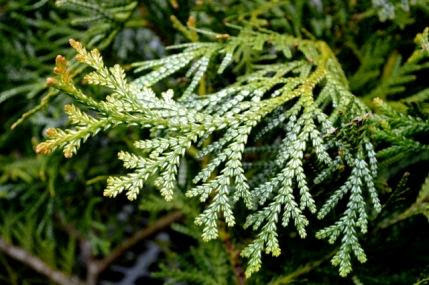 Another name for this evergreen is white fir. It is native to high mountain slopes of the western United States but ourd are grown right here, locally, in CT. This evergreens smells wonderful, like lemons! The texture is thick and the needles are a soft blue color. Elkhorn cedar is shown upside down, with white scales on the underside of the branches making it ideal to design with at this time of year. very slowly. I harvest small bits for very special arrangements, usually the week of Christmas.